The most vulnerable parts of the population – the young and very young – tend to be the most avid internet users. One of every three people who go online is thought to be under 18. In Europe today, children start using the internet on average when they are 7 years old. Between the ages of 9 and 16, they spend 88 minutes a day online. Nowadays, young people lead online lives. Children are as likely to be online as adults. However, while many children may be conversant with technology, sometimes more so than their parents, it does not necessarily mean that they are digitally savvy. Their "online playgrounds" contain some very real risks. The good news is that many dangers can be avoided: by learning to be smart and safe while surfing the internet. The European Commission has been raising awareness of emerging online issues for many years, promoting industry self-regulation and international co-operation. Activities include raising awareness, fighting against illegal material online, filtering and content labelling, involving civil society in child online safety issues and creating a solid database of information related to young people using new technologies. Today is a good example of the work being done: Safer Internet Day (SID), held each February to promote the safe and positive use of digital technology, especially among children and young people. It goes hand-in-hand with all the policy work that we are doing to build a Digital Single Market in Europe, addressing issues such as data protection and privacy, cybersecurity, promotion of digital skills, and how best to deal with harmful material that appears online. There are many other examples, but one of our most recent initiatives came just three weeks ago: the Digital Education Action Plan. 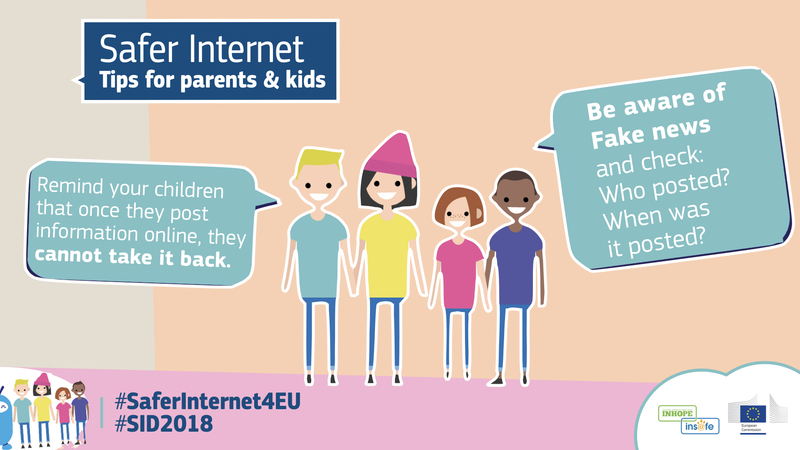 This specifically addresses challenges of digital transformation with an EU-wide awareness-raising campaign that targets teachers, parents and students to promote online safety, cyber hygiene and media literacy. SID has expanded exponentially since it started in 2004. It is celebrated across the countries of the European Union, of course - but also around the globe, from Afghanistan to Argentina and Australia to Yemen, Zambia and Zimbabwe. 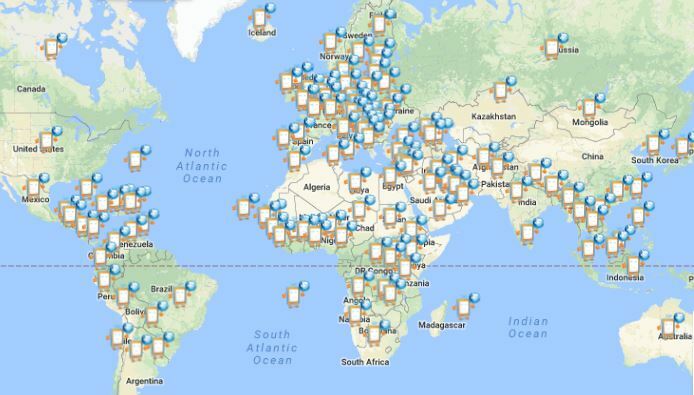 In total, around 130 countries hold events and activities to encourage safer internet use. Each year's SID focuses on a different topic. This year's theme is: "Create, connect and share respect: a better internet starts with you". The idea is to get every online user to play their part in creating a better internet for everyone, particularly for the youngest users. - the dangers of sharing too much personal information online. - cyber-bullying, internet trolls, hate-message posting on social media sites. - the risks of talking to strangers on the internet. - the importance of recognising and reporting illegal and harmful material so that it can be tracked and quickly removed. And there is a strong focus on giving general tips for children's online safety, like keeping passwords safe and knowing about software security patches. Fake news is a particular concern and a growing problem. Deliberately concocting false information is not a new phenomenon. What makes it more pervasive and dangerous than ever before is the ease of posting and sharing it by anyone on social media – and the speed at which false information can spread. Again, it is children who are the most exposed and vulnerable, given how much they go online, particularly on social media. I recently read an interesting UK survey about the 12-15 year age bracket. Two in five of the children interviewed said they had seen fake news online, or on social media. Nearly half found it difficult to tell whether a news story on social media was true. A quarter of users aged in the 8-11 and 12-15 age brackets said that if a website was listed by a search engine, then it could be trusted. To me, these findings demonstrate why raising awareness online is so important and why we take it so seriously. Internet safety goes beyond just protecting children from strangers or blocking inappropriate content. We need to help them use the internet productively and safely. This year's SID campaign puts it a little better: "it's about using the internet responsibly, respectfully, critically and creatively". This is also a balance - between offering young people the positive opportunities of the online environment and making sure they are protected from exposure to serious harm. And we can all make a difference. Another blog soon.